The Spring/Summer 2019 jewellery collection is inspired by charms and talismans, many imbued with meaning. 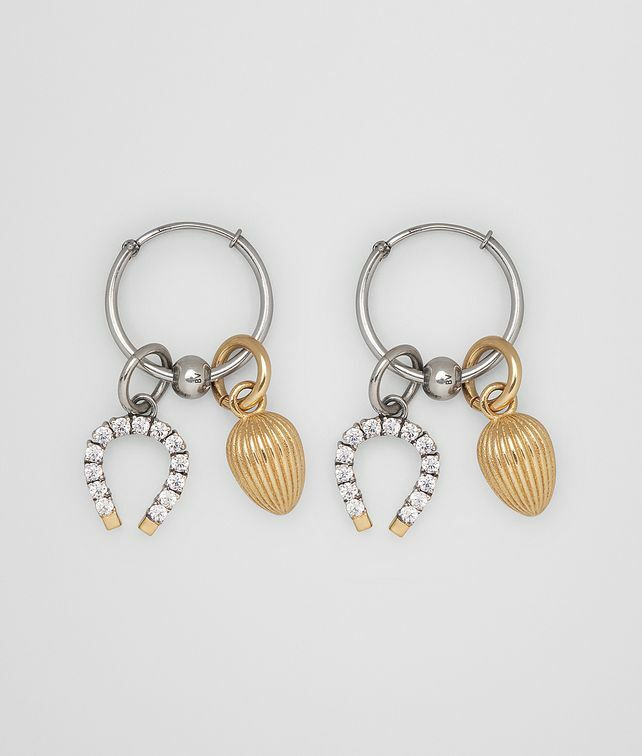 These sterling silver sphere hoop earrings feature a knurled gold egg which symbolises fertility and a lucky horseshoe. Length: 4 cm | 1.5"